We keep hearing from clients that they never knew they could use an independent building surveyor to oversee the insurance reinstatement of their property. Here are a few reasons why it is better to use RMA Surveyors Ltd, an independent chartered building surveyor, to oversee the reinstatement of your property. Larger insurance brokers offer their own in-house surveyors to oversee fire, flood, water and impact damage claims to property. 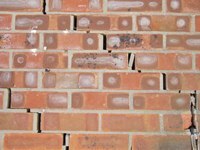 These companies will appoint the services of their surveyors, to act on your behalf, after they have undertaken their initial assessment of the damage to your property. Often these brokers do not fully explain that you are not obliged to use their in-house surveyor’s services. You are free to appoint your own independent surveyor to specify, tender and oversee works on your behalf under your policy cover. Because your insurance policy covers the fees of an independent surveyor, like RMA Surveyors Ltd , it will not cost you a penny to get impartial, qualified and quality advice and management for the duration of the insurance reinstatement works. Using an independent chartered building surveyor like RMA Surveyors Ltd is a better option for many reasons. Firstly, using RMA Surveyors Ltd guarantees you are using a qualified professional who is regulated by the Royal Institution of Chartered Surveyors (RICS). As RICS surveyors we are governed by a code of conduct and must act reasonably and impartially at all times. Secondly, as chartered building surveyors we are professionally obliged to undertake projects diligently and must have the resources and capacity to fulfil a project. Large insurance broker surveyors often have many projects on the go at any one time over a large geographical area. They do not have the time to provide a tailored, bespoke service to each project. Consequently they cannot provide the same attention to detail, often missing important elements critical to the smooth completion of the project. A high turnover of staff and reallocation of resources in these companies can mean you deal with a number of different surveyors. Often works can be specified by the broker’s in-house surveyors by using template documents that do not fit the criteria of an individual project. RMA Surveyors Ltd provide a personal service with a meticulous approach, tailored to each individual property. Thirdly, RMA Surveyors Ltd provide a fully accountable service which is efficient, detailed and comprehensive at all stages of the project. We also understand the stress and upheaval caused by such events as flood, fire, impact and water damage and endeavour to provide swift reinstatement of your property. As a result of their limited resources, broker’s in-house surveyors are often difficult to contact, do not properly oversee the quality of materials and workmanship on site, are slow to react to problems that arise and provide incomplete documentation. Lastly, RMA Surveyors Ltd ensure that all works are undertaken by quality independent building contractors, using industry standard building contracts which protect you and clearly define your rights. Therefore, in the unlikely event that something does go wrong you are protected. Often broker’s in-house surveying departments use contracts that heavily favour themselves and their own approved contractors; effectively absolving them of responsibility should a problem arise. If you have an insurance claim that is causing undue stress or you need some free advice please contact us. We would welcome the opportunity to help you. If you have suffered an insurable loss to your building, did you know you are entilitled to appoint your own independent building surveyor? 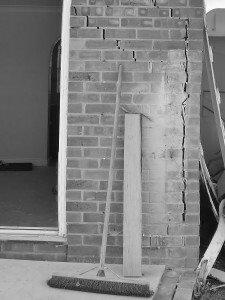 RMA Surveyors Ltd are experienced experts who understand how the insurance reinstatement process works at all levels. Richard Mountain MRICS gives an insiders view to the corporate loss adjusters reinstatement operates. Previously I worked for a major UK insurance loss adjuster, within their building surveying and project management department. I oversaw reinstatement of flood damage, fire damage, impact damage and malicious damage to residential property and commercial property insurance claims. I project managed in excess of 25 insurance reinstatement projects at any one time (many project managers had as many as 50 ‘live’ projects), all at various stages of the reinstatement process. I covered a 2,500 mile2 geographical area. The volume of work was phenomenal. The role required assessment and reporting of the initial damage compilation of specifications and tender documentation, tender issuing and tender analysis and monitoring the execution of the building contract to completion. Inevitably, delivering the volume of projects in the required time meant that the role was highly pressurised and very time consuming. I learnt a great deal in my time dealing strictly with insurance reinstatements. Principally, like any business, the primary goal is to generate profit. Secondly, large loss adjusting companies are set up to generate as much profit from insurance claims as possible. They do so through structuring a claims process in such a way that policy holders are steered in a direction towards services or subsidiaries of that company. Typically a loss adjuster visits a claim. He makes an assessment of the claim and whether or not it is straightforward (e.g. a collapsed ceiling) or more complicated (e.g. a flood damaged block of flats). In the latter case he will refer the work to an in-house surveying department. A surveyor will be appointed to act on behalf of a policy holder. S/he will assess, specify and tender works to a list of ‘approved’ contractors. The succesful ‘approved contractor’ will then complete the works. In such cases a loss adjuster’s fees are typically capped at a low figure, and treated as ‘loss leaders’. This is done in the same way supermarkets expect to lose money on basics such as bread and milk, in the hope that you will be tempted by other goodies on the way round the store. Larger fees are accrued when the surveyor gets involved. As with any surveyor dealing with this type of work, in-house firms of surveyors and project managers will receive fees typically in the region of 10% of the net contract sum. Coupled with this ‘approved contractors’ pay a percentage back to a central contractor administration unit (also owned by the loss adjusting company) for each project they successfully tender. Ultimately the loss adjusting company can generate in the region of 18% of a net contract sum from each project, making the ‘loss leader’ adjuster’s fee a worthwhile endeavour. What does this mean to a policy holder? Well, on the face of it not a great deal. The structure behind the system is rarely explained in any great detail to the policy holder and rarely do they want, or need to know. Only when the level of service begins to be affected does it become a problem. My experience is when problems occur it is usually the policy holder who loses out. By way of example, a recent claim I took over as an independent surveyor had a contractor making many unfair and unsatisfactory expectations of my client, the policy holder. I was provided with a two page specification, compiled by the contractor, and a four page letter of caveats and impositions expected of the policy holder by the contractor that formed the basis of the building contract. The whole project was strongly weighted in favour of the contractor. I had no choice but to compile a proper specification and tender the project to competent contractors, effectively taking the policy holder back to square one. It had taken him six months to get as far as he had. The process took a further four months for me to complete. But we managed to do so using a good contractor, under an industry recognised form of building contract for a competitive and realistic contract sum. For contractors to become ‘approved’ by the loss adjuster’s central administration body they need to meet a lot of separate criteria. They need to have a workforce, who are adaptable and can react quickly. They need to be geared up to visit a property with a leaking pipe within an hour of a phone call. Coupled with this, most of the insurance claims work they deal with is typically low-value, small-scale and does not require a project manager or building contract in place. Good building contractors are rarely suited to this type of business model tending to deal predominantly with larger contracts. Therefore, it is very difficult to secure ‘approved contractors’ who can meet the needs of a larger building contract. I once went to five of my project sites in a single day and not one of them had any personnel on site. This was in spite of the fact that I had specifically cited this as a clause in the specification. I found that contracts were poorly managed on site and beset with problems in terms of quality and understanding of material performance. When employed by the loss adjusters I was not allowed to use any other than the list of ‘approved contractors’. This was a major frustration for me. At the outset, it is down to loss adjusters to explain that policy holders are able to use their own independent surveyors. I often found that policy holders did not understand, as it was not explained, the difference between the surveyor and the loss adjuster. Policy holders often seemed compelled to remain with whoever was assigned to deal with their case. 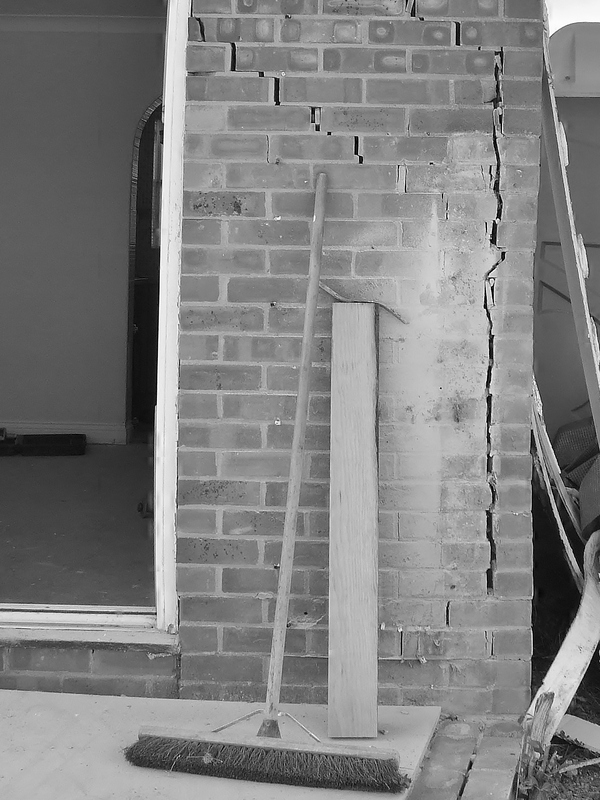 The insurance reinstatement claims I have dealt with as an independent surveyor are wholly different. All of them have been far easier to execute without the constraints of a corporate enterprise behind me. I am not overworked and would not take on a project unless I knew I had the resources to deal with it. In every project I have had the fortune to appoint good local independent building contractors, who have performed admirably to ultimately benefit the client. I would recommend to anyone who has the misfortune to suffer an insurance claim that they appoint an independent chartered building surveyor to oversee the reinstatement works. The cost will be covered by your insurance policy. We will bring peace of mind, as you can be sure that you are using a qualified construction professional, who understands the construction industry and has you and your building’s best interests as their primary concern. If you have problems with getting your property adequately reinstated please contact us RMA Surveyors Ltd will be pleased to look at your case and provide initial free consultation.